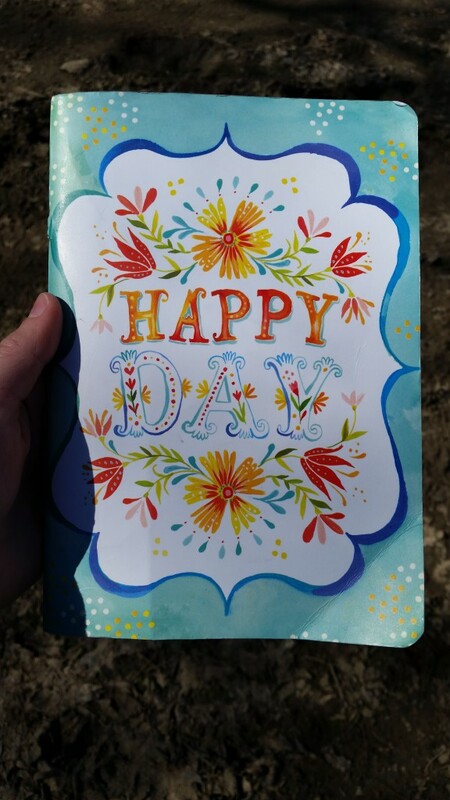 This year, I searched and searched for a planner that fit my needs. It was an impossible task. 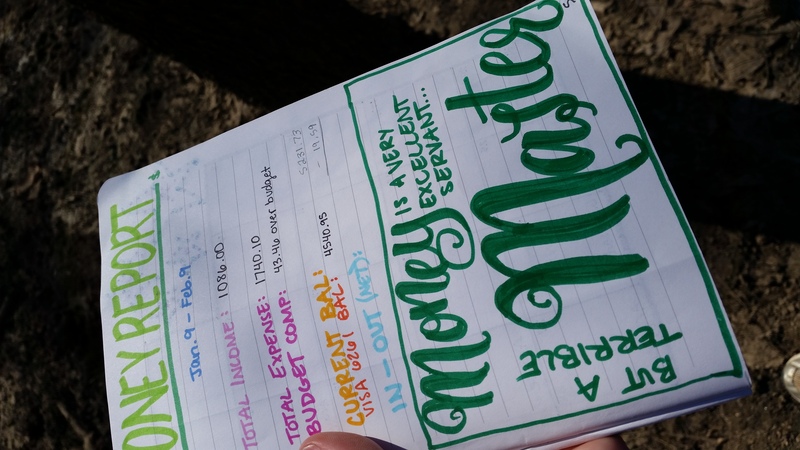 I could never find one with months and days, notes and blank spaces, to-do lists and monthly goals… the list of my requirements goes on and on. Finally, my lovely friend Bettina suggested to me that I look into bullet journaling. 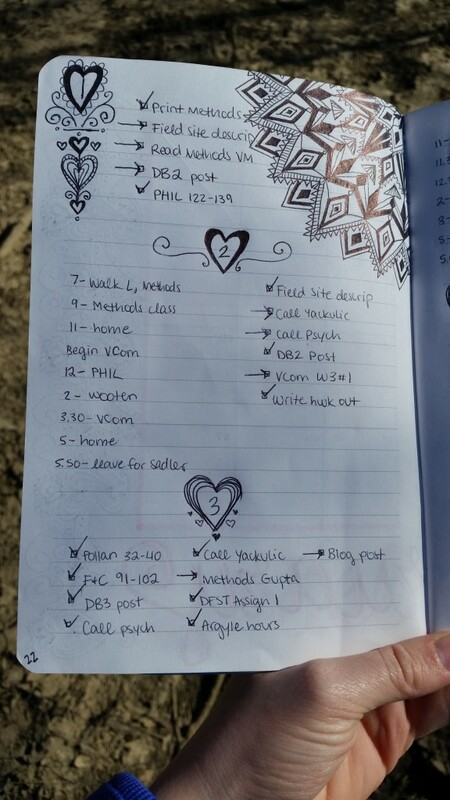 She thought I would love the process because I love making lists and keeping everything organized. In the money-saving spirit of the broke college student, I spent half an hour convincing myself that I should not purchase a brand-new Leuchtturm bullet journal delivered to me from Germany. 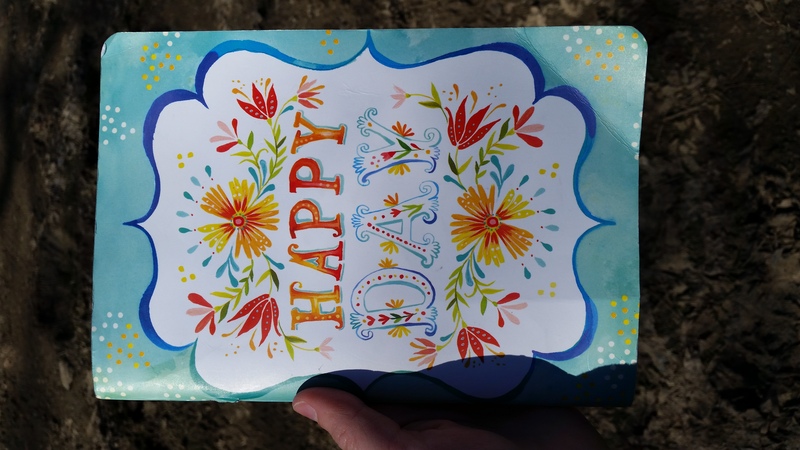 Instead, I dug around in my never-ending office supply cabinet and found this lovely Katie Daisy notebook I had yet to use, and went to work. 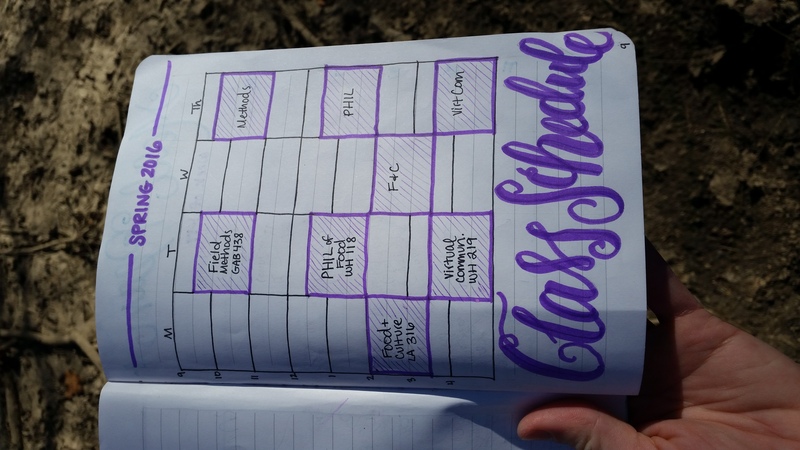 They key thing about bullet journaling is that you create your planner as you go along. 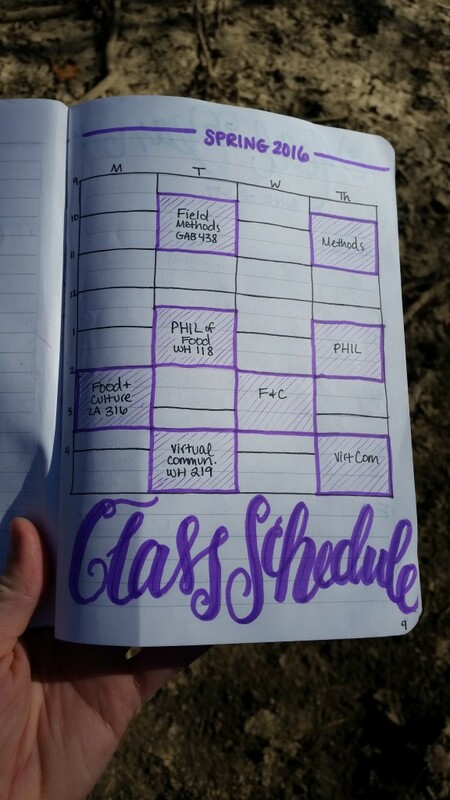 The other lovely thing about using a bullet journal is that you create your daily schedule and to-do list as you go along. You’re not restricted to a specific box of space to write your notes in. You can take as much space as you like! The ideal practice would be to write out each day’s to-do list and schedule the night before right before bed, but my need for sleep always surpasses my will to do anything at all before falling straight into dreaming. I tend to write my daily to-do list in the first class of the day. 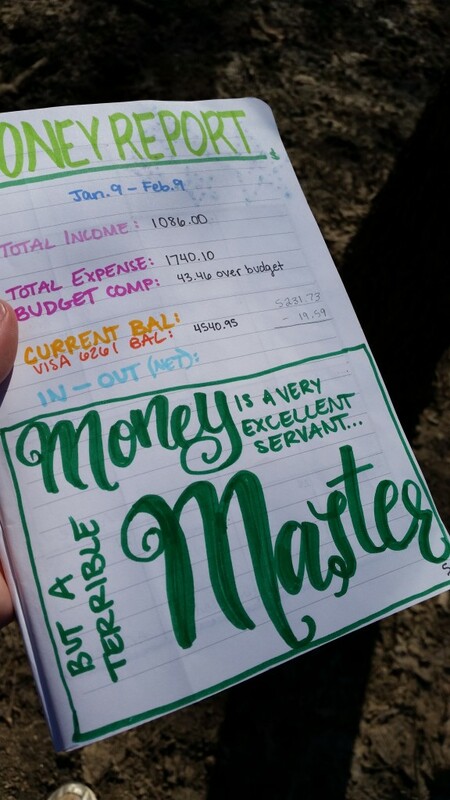 There are also a few really unique “hacks” that journalers use to solve the problem of writing the planner as you go. 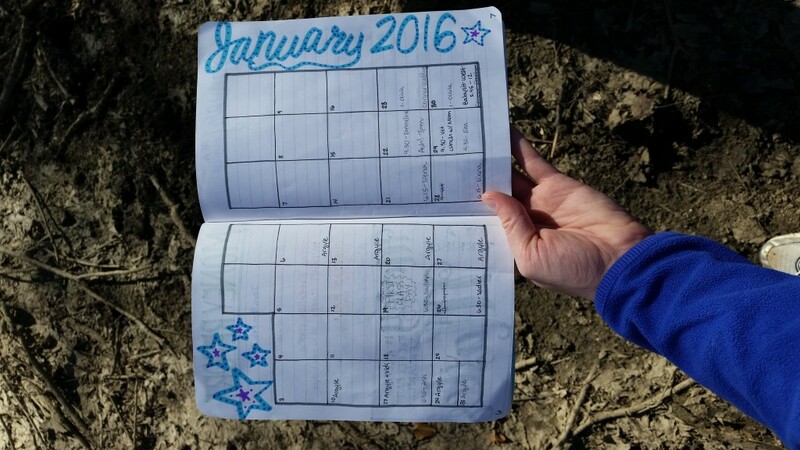 Because you haven’t drawn in a calendar for each month of the year yet, it may be frustrating to plan ahead. 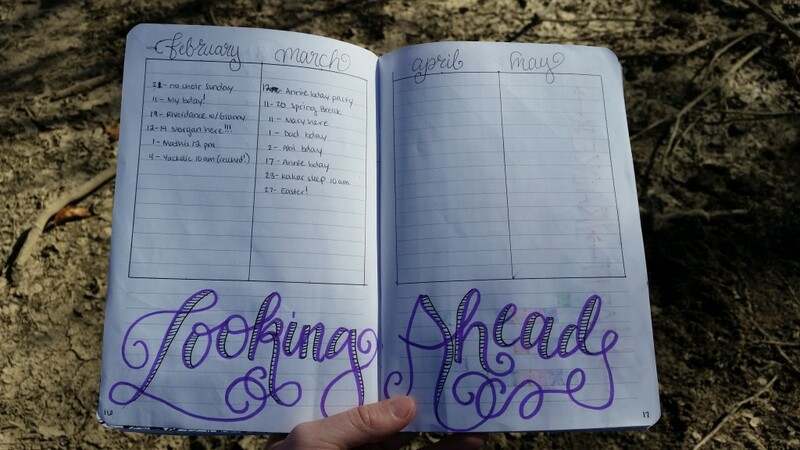 I don’t want to restrict myself to a specific number of pages per month by drawing the calendars evenly spaced at the beginning of the year, so instead I created a simple “looking ahead” page to keep track of upcoming events! 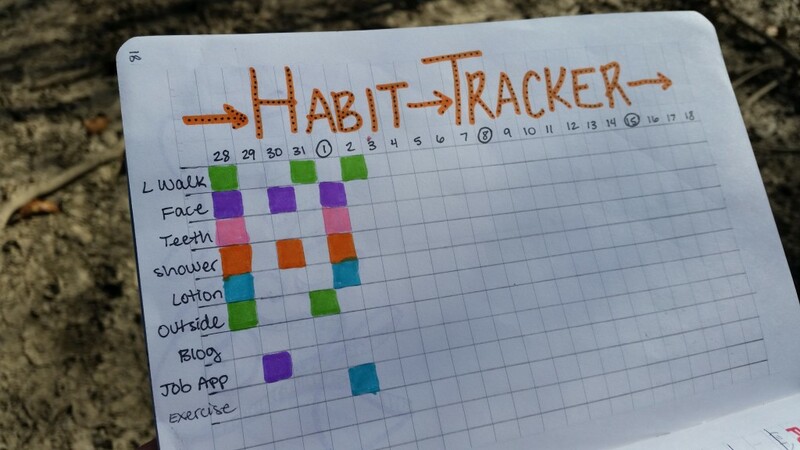 I also created a cheerful “habit tracker” page that helps you keep a visual log of your goal accomplishment. I’m definitely not religious about filling this out, so it doesn’t look as constant as it would in theory. But I love the idea! 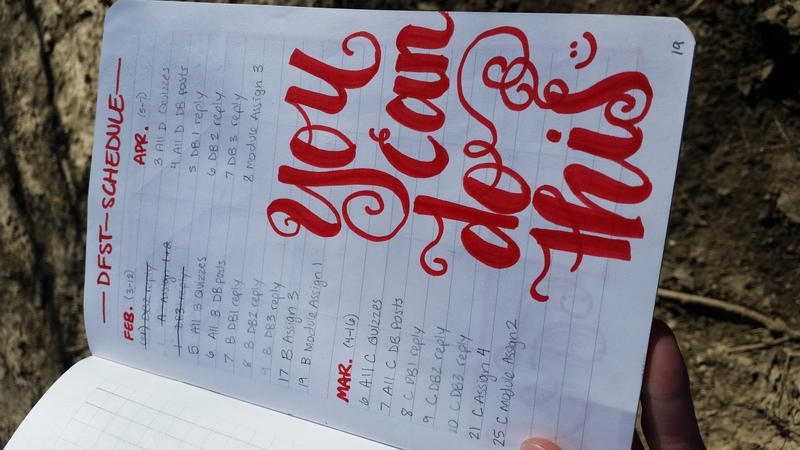 My bullet journal is also full of little hand-lettered encouragements to myself. Quotes that I love, affirmations, etc. help to break up the scariness of a super long to-do book. 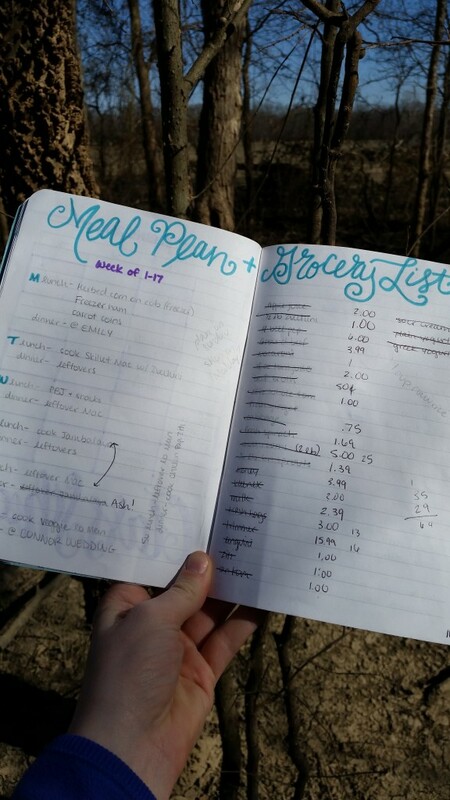 I also love doodling in my bullet journal! 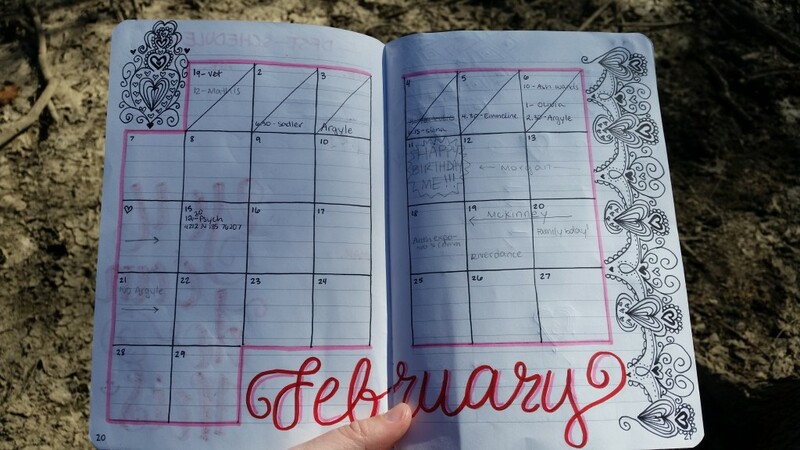 I find a lot of enjoyment in creating each month’s calendar and doodling on each day in class, because all my doodles are combined in one location. 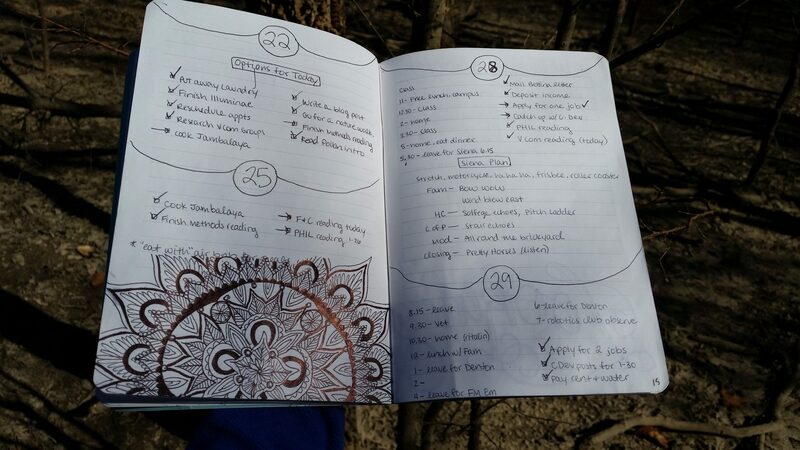 My bullet journal has basically become one big zentangle and mandala gallery, and that couldn’t be more cheerful to flip through! 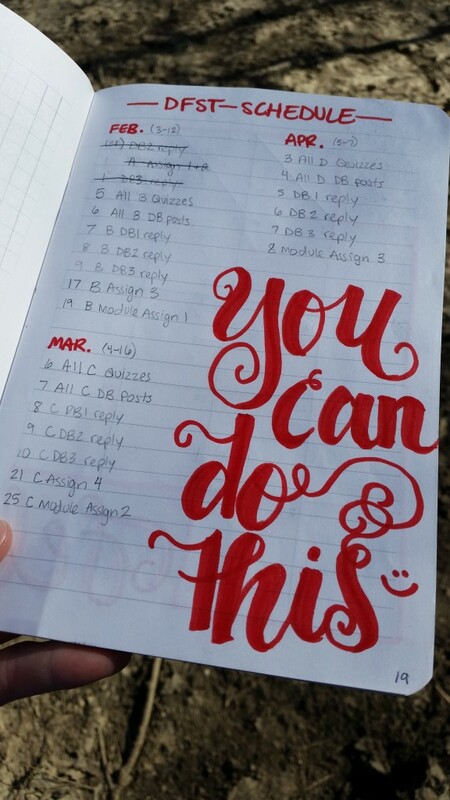 Bullet journaling is wonderful because you can add literally anything you desire to the process. 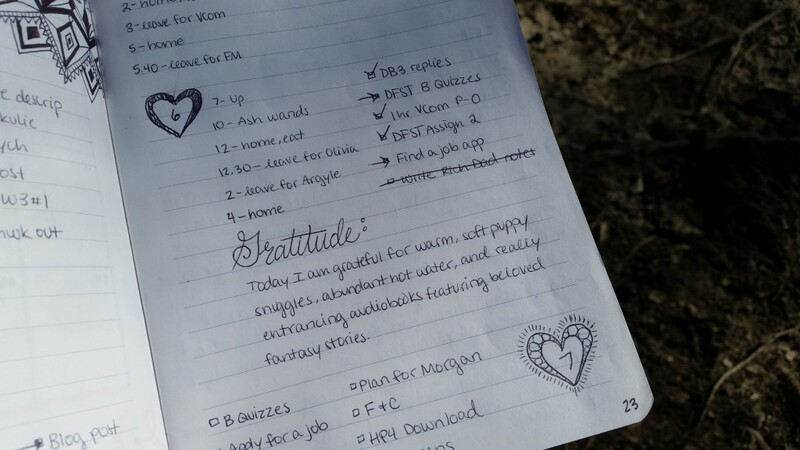 One day I tried adding a space for gratitude journaling. 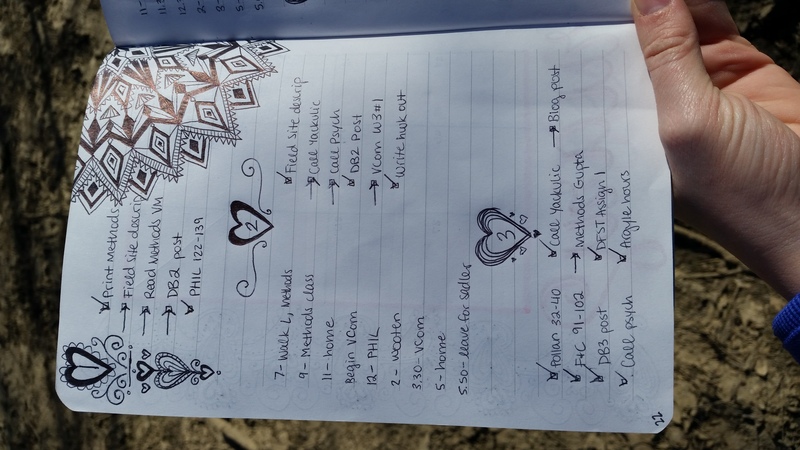 Some people like to actually journal in theirs, or to use a style of writing called “brain dumping.” I prefer to journal elsewhere, but this just shows the awesome amount of flexibility this process offers! I hope you have enjoyed a peek into my very detailed and cheerful organizational life! 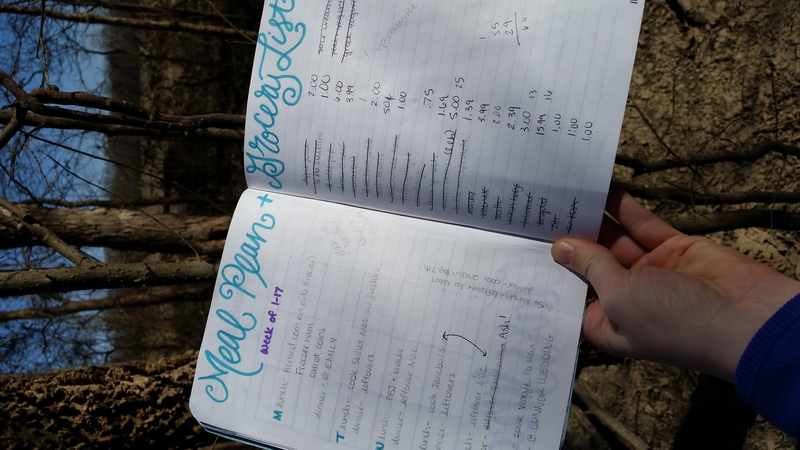 If you’re interested in seeing some of my bullet journal inspiration and where I got most of my ideas from, check out my fledgling pinterest board on the topic here.